For comprehensive roach removal in Portland, you want Family Home Pest Control. Roaches can be difficult. They often only come out at night to scavenge the areas you use most for food. Though you might think be hesitant to get professional roach removal in Portland, OR if you only see one or two, there are likely many more that you cannot see. These nocturnal pests can cause a number of problems if left untreated. It’s imperative to get professional help from a professional pest control service as soon as possible. They may look innocent, but roaches are anything but harmless. Everywhere a roach travels it leaves behind a trail of feces and saliva. This helps it track where it is in your home and find its way back again in case of danger. For people with asthma, this can be life-threatening. Without roach removal , roach leavings can trigger acute asthma attacks in sufferers. These allergies are especially prevalent in children. When left around cockroach allergens long enough, young children with no previous asthma symptoms can even develop asthma. All because of a roach problem that could have been treated by Family Home Pest Control. Roaches are also microbe transporters. They may be immune to the effects of the microbes they carry, but humans aren’t. Cockroaches are linked to 33 strains. These include E. coli and Salmonella as well as parasitic worms. Roaches are often attracted to fruits and other items left out. You may have no idea where they have walked, and it is very easy for a roach to spread pathogens to food items left out. One forgotten washing and you or your family members could be exposed to some life-threatening danger. There is something you can do though. 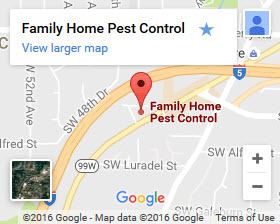 Family Home Pest Control performs professional roach removal in Portland OR. 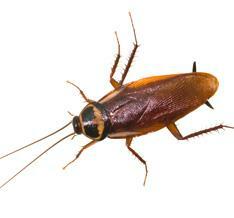 Roaches are incredibly adaptable and are often times resistant to over the counter treatment methods. We have a number of methods we use to eliminate them once and for all. Depending on your property size and other factors, our professionals will deploy one or several of these. It’s important to address every issue. 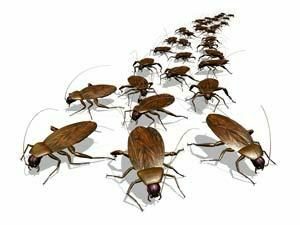 Our complete roach removal in Portland covers the removal of current roaches, and training in proper practices for roach control. We also identify entry points, so that we can stop future roach infestations. It’s important to determine how they are getting in, and what it is about the environment they find inviting. This often means proper cleaning, storage of food items, and maintenance of particular areas. Roaches go where the food source is, so eliminating that food source is important to maintaining a roach free home after a roach removal in Portland. For comprehensive roach removal in Portland, OR that covers current roaches, entry points, and roach attractants, look no further. Our team of professional roach removal technicians is knowledgeable, experienced, and ready to give you your home back. Call (503) 452-9965 or Contact Family Home Pest Control today.